Do you take measures against bedbugs? Although we have never been infested with bed bugs, we decided in 2011 to take preventive measures. We made the acquisition in April 2011 of a high-pressure steam cleaning machine. Steam is produced at 6 bar pressure and at a temperature of 160 degrees Celsius, temperature high enough to kill not only bugs but also eggs. Each truck is thoroughly cleaned at least once a week , or as needed, using this machine. Note that we use no chemicals, only dry steam to 5 % water. Should I book long in advance? And of course, July 1st! We accept payments by Visa or MasterCard, as well as payments in cash. What is the hour of traveling time? The hour of traveling time is the time we take to travel from our home base to your origin address and to travel back from your destination address to our home base. The hour of traveling time is not the driving time between your 2 addresses. We automatically charge one hour of traveling time on all moves in Montreal or close to Montreal (Laval, Longueuil, Brossard etc). The minimum charge is 3 hours: 2 hours of work and 1 hour of traveling time. The only exception is July 1st, the minimum required being 4 hours. We are insured with Northbridge Insurances. Do you work in extreme weather? We work rain or shine. But we are always having a look at the forecast and we could offer you to anticipate or delay your moving if you are flexible with the date. Do you connect and disconnect electrical appliances? We can connect and disconnect the stove and the dryer. Regarding the plumbing connections of dishwasher and washing machine, it is your responsability to have these appliances serviced by a qualified plumber. We have the necessary tools to disassemble and reassemble most of the furniture. We suggest that you still mention you need this service when booking your move. Are there any hidden fees or extras I’ll have to pay? Moving exceptionally heavy furniture such as a piano, a large safe etc. We do not charge any extra for plasma televisions, organs, glass table tops, sofas, hide-a-bed, third floors. For exceptionally heavy furniture, you will be notified in advance of the fees to be charged. For hoisting furniture, since it is usually unexpected, you will be notified by the driver when it becomes obvious that the hoisting is the only solution to move your furniture in. Can you do CSST or IVAC paid movings? 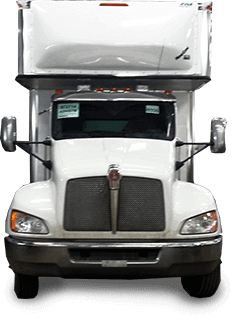 Transport Constantineau is a registered vendor with the CSST and IVAC . You can contact us by phone at 1-888-678-1426 or by our quote request form . We will be happy to prepare a written submission. How to reserve a parking space at the City of Montreal? We suggest that you go to the Accès Montreal service point of your neighborhood. You will find the addresses of these service points on the City of Montreal website: Réseau Accès Montréal. Make your request at least 48 hours in advance because these temporary permits are not issued on the spot. Expect costs of $100. You can also call 311 to get the services to citizens of the City of Montreal. How can I get rid of furniture or objects that I no longer want ? You can view this directory: City of Montreal reuse address book. Or read this document Éco-Centres flyer. At the provincial level as well as the federal, moving expenses are deductible if the move is getting the taxpayer closer by at least 40 km of his new workplace, or his new school in the case of a student. Is there a government service for change of address? The Quebec government offers an online service to make a change of address with 6 agencies and departments.